and Riverside counties, California at alarmingly high rates. As an animal behavior dog bite expert, I have known about this for quite some time and now report on another fatal dog attack happened in September, 2015. Previously, on this website I reported a horrific, well-publicized incident in 2012 in which a lady out for a morning walk was savagely mauled to death by a pack of pit bulls in Little Rock, California. And in February, 2013 a 91-year-old lady was killed by a pair of pit bulls in a hotel in Hemet, California. The latest dog bite fatality happened in the Salton Sea region of Southern CA. (Riverside Co.). In this instance, a pair of pit bulls mauled to death a 65-year-old man in a residential neighborhood in the early morning hours. When sheriff deputies arrived at the scene they found the victim dead and a woman being attacked by the dogs. Both dogs were identified as male pit bull type dogs. The circumstances of this incident are consistent with the circumstances found in many fatal dog attacks. Namely, two or more unsupervised and unrestrained pit bulls are involved, the the gender of the dogs are male, and the victim is alone and elderly. I refer to the reader to review of a research paper about factors associated with fatal dog attacks published elsewhere on this website. 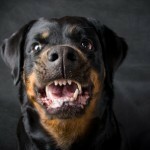 There are a number of reasons why the number of fatal dog attacks are relatively high in this part of Southern California. First, large sections consist of desert-like conditions in which packs of dogs are frequently found roaming. In many parts of San Bernardino and Riverside counties leash laws do not exist or they are not enforced, leading individual owners to let their dogs roam free. And these dogs will join other dogs to form packs, and if this pack becomes hungry a solitary person becomes a prime target for a predatory attack. Read more about predatory aggression. Second, pit bull type dogs may be significantly over-represented in the dog population in this part of Southern California. Third, Riverside and San Bernardino animal control may not have the resources to effectively enforce animal control regulations. This obviously compromises public safety. However, one measure initiated several years ago in Riverside County in an attempt to control the dog bite problem has been the mandatory neutering of pit bull type dogs. This breed specific regulation has been met with much controversy; hence, owner compliance is likely questionable. 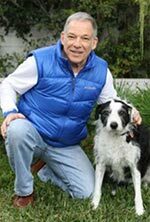 California dog bite expert, Richard Polsky, PhD, is available for assignment as an expert witness for attorneys handling dog bite cases. More information about Dr. Polsky can be found on his curriculum vitae.